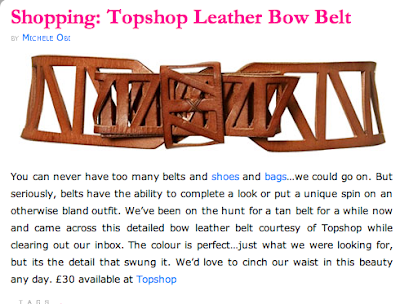 My latest obsession comes from My Fashion Life this leather bow belt from TOPSHOP is a bit avant garde art piece and part stellar accessory. I can picture it with my LBD now. I can also picture my AMEX bill converting pounds to dollars, sigh.